What separates our team from all the rest is our skill sets and experiences of the real estate process. From home building, to general contracting and home staging, our current and previous business involvements have prepared us to create the best real estate endeavor for you. Thank you for stopping by our website and contact us today to receive more information and to see why it’s so easy to love Wilmington and its neighboring areas! Are you looking to buy or sell a home in Wilmington, Wrightsville Beach, Kure Beach, or Carolina Beach? Curious about the buying or selling process? 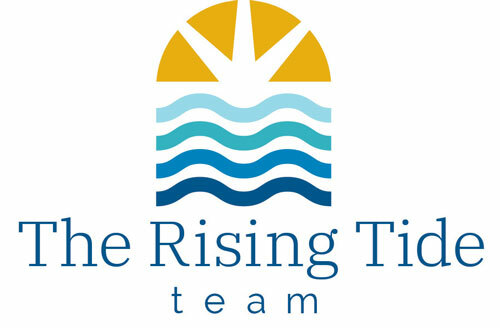 The Rising Tide Team is committed to helping you find the right home. Growing up in Asheville, NC I loved my years there, however; in 1989 I headed to the University of North Carolina at Wilmington and have not looked back! The ocean pulled like a magnet. In May 1993 I graduated with a major in Communications. In September 1993 I married Gene Ingle and moved west to the foothills of the mountains to Hickory, NC, but the coast and all it offered drew us back to the beach in 2002. In July of 2008, I began my real estate career. As the Great Recession began I had the privilege (only from hindsight) to grow and learn how to navigate the ever changing waters of our local market. At heart, I am a teacher and attempt to educate my clients on current market conditions to enable them to make the best decision for their family. The difficult early years have enabled me to play an important role on The Rising Tide Team with my vast understanding of the area and the market. The Rising Tide team’s core values consist of choosing humility, building relationships, being people of integrity, willing to learn and grow, adding value by being resourceful and communicating effectively. We choose to focus what is right and help our clients reach their individual goals. Gene and I have two young men (born in ’98 and ’00) and a black lab named Pepper. Aside from work, I love boating, swimming, paddle boarding, walking the loop, reading, teaching Sunday School and participating in what we affectionately term “forced family fun”! I enjoy people.....you must in order to be good at selling real estate. Real Estate is a “people and places” business, and I believe I have the skills and experience for matching these variables. I put my energy and business savvy into making my clients' transactions not only successful, but pleasant. I listen and I strive to deliver. A real estate transaction isn't always a short or simple process. Because it can take time-- and really test your patience-- I want my clients comfortable and confident with me. It's a partnership until the job is completed. They get all of me as long as it takes. 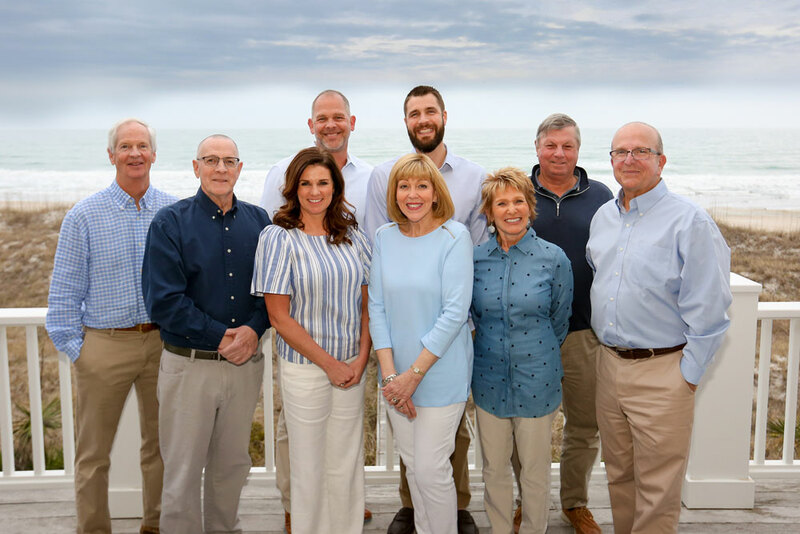 I've been with Intracoastal Realty since 2001, and I chose this firm's umbrella to stand under because it has represented integrity in southeastern North Carolina real estate for over 30 years. The Intracoastal Realty name speaks for itself. And, Wilmington and the beach are such pleasant atmospheres to live and work. My husband, Murray and I have been married since 1989. We have three grown children and six grandchildren. Outside of our family, I love sports, reading, traveling and our two Labradoodles......who “rule the roost” when we are home! "We the People of the United States, in Order to form a more perfect Union........."
A REALTOR must provide service, integrity, and credibility. He must. North Carolina Real Estate Broker since 1990. 20 years experience as a Financial Consultant; retired from Smith Barney in 2005. 12 years experience publishing a sports magazine and over 20 related books. 10 years experience as a political party leader (county and district) and 4 years as an elected official. Served two terms in the North Carolina House of Representatives. Extensive experience serving on various boards; continuous civic and volunteer work. 1969 graduate of the University of North Carolina at Chapel Hill, B.A., U.S. History. 1974 Graduate of the Radcliffe Publishing Procedures School. 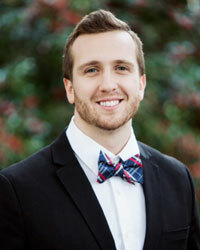 Head basketball coach at Ravenscroft School in Raleigh, NC for five years. Loves dogs, avid reader, strives to make a difference. Helping people find joy as well as celebrating the successes of others are the major reasons why I got into real estate. When purchasing real estate, whether the transaction is for your first home or you’re a seasoned home buyer/investor, you can trust that I am here to help create a joy-filled, successful experience. Buying or selling a home should be an exciting time in your life, and I am honored to be a part of these occasions. After moving to Wilmington from Columbus, Ohio to attend UNCW, I knew the city had captured my heart. Not only did I meet my wife here, but also found a city that had everything I wanted for my future home. After graduating with concentrations in entrepreneurship and operations management I took a job with PPD as a financial analyst. This experience equipped me with the skills and experience to venture into business ownership and start up a frozen yogurt shop. After successfully owning and operating Kicking Kiwi Frozen Yogurt Bar in Goldsboro, NC, my wife and I decided to sell the business. Immediately following the sale of our business we moved back to Wilmington. We now call Wilmington home and are proud to be a part of Intracoastal Realty and Angie Pool and Associates family. When I’m not working, I enjoy spending time with my wife Clare, son Asher and daughter Colbie. You will be able to find me at the beach, playing outdoor basketball, and running the loop (probably with our boxer, Ralph). When I’m not enjoying Wilmington’s outdoors I am most likely rooting on my favorite sports teams. You will also find our family at Port City Community Church, where we are active members. 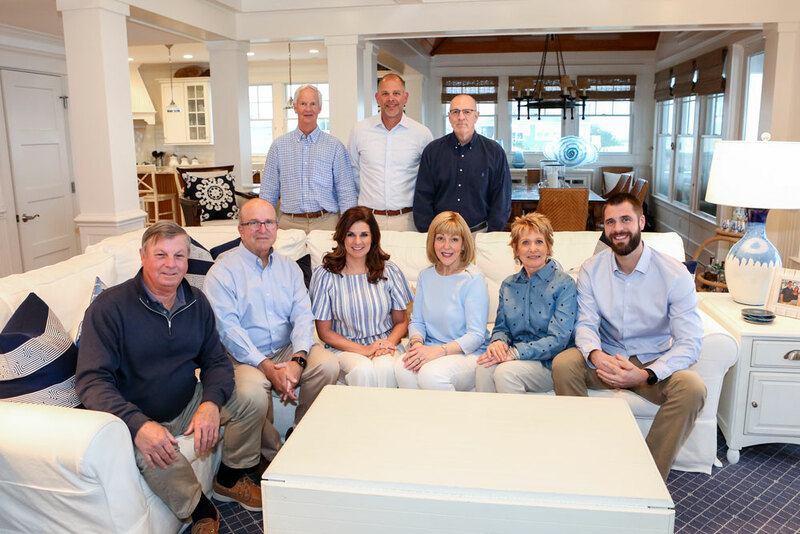 Jim’s connection with the area began in the early ‘70s when he first visited Wrightsville Beach with family friends. It continued in 1983 with his first purchase of beach property and construction of a vacation home, and culminated in 1997 when he and his family (wife Kathy, son Brad, daughter Kristen) officially “transplanted” from Charlotte to Wrightsville Beach on a full-time basis. For the past 13 years Jim -- a licensed contractor and real estate broker -- has been involved in real estate development, construction and sales in this area. 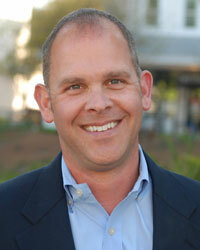 Through his construction company, Del Mar, Jim has built a number of high-end homes at area beaches and Landfall. 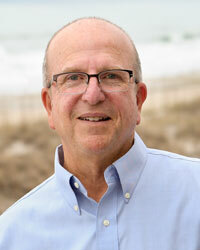 He was the managing partner of the SeaWatch development at Kure Beach. As an “absentee” owner of vacation and investment property for more than 15 years, and more recently as a permanent resident in the area, Jim understands both the joys and challenges that out-of-towners face when identifying and purchasing coastal property on a “long distance” basis. His knowledge of the various market segments, special requirements of coastal construction, and rental potential of properties, enables him to play an invaluable role in evaluating different options. 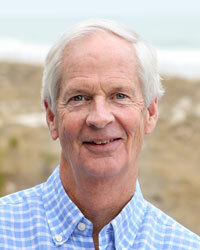 A native of Salisbury, Jim graduated from UNC-Chapel Hill in 1976 with a BS in Business Administration. In 1977 he co-founded Datasouth Computer Corporation where he served as a director and executive officer for 21 years. He is actively involved in the Wilmington community serving on the boards of Junior Achievement of the Cape Fear Region, Wachovia/Wells Fargo Bank – Wilmington Area, Cape Fear Builders Guild, and the Greater Wilmington Chamber Foundation. In addition, he has served on the PTA boards at Wrightsville Beach Elementary andNoble Middle School, as well as the president of the Hoggard High Athletic Booster Club. 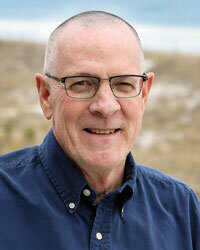 Jim is also an active member of WrightsvilleUnited Methodist Church where he has served on a number of committees. 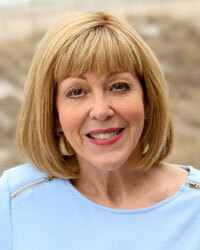 Mission statement: I am dedicated to my career and clients as a full-time Realtor. I am committed to serving my clients with honesty, professionalism and knowledge of the greater Wrightsville Beach, Wilmington and New Hanover County markets. I pride myself for going the "extra mile" for all of my clients. I make it my goal to find the perfect residential or investment property for all my clients. Experience: Bob has been in the Wilmington area since 1980 where he met his wife Mary Beth of 30 years and raised their two children. His earlier career was in logistics/warehouse operations in the textile and airfreight industries. Bob comes from a real estate family where his father, John "Son" Fannon was a well-respected Auctioneer and Broker in East Tennessee. Bob's brother, Joe Fannon is a Real Estate Appraiser/Broker in the Smoky Mountain area of Tennessee and his sister Lois Fannon Jost is a top selling agent in the Amelia Island/Fernandina Beach Florida area. You could say that real estate is in his blood! When Bob is not selling: He can be found on the Golf course or walking the loop at Wrightsville beach. He’s always ready to swing a club for a good cause. A native of Fayetteville, NC, Daphne attended Methodist College where she studied business and accounting. 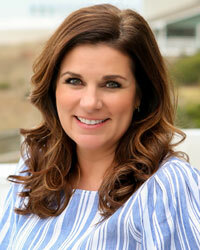 She relocated to Wilmington, NC in 2000 with her husband to raise their two children. After working in the field of Massage Therapy for ten years, she opted for a career change in 2005 and obtained her real estate license as well as her broker’s license. 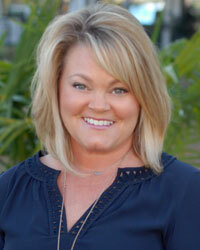 Daphne joined Intracoastal Realty in 2006 and works closely with buyers and sellers. She brings an extra level of professionalism to the team ensuring every real estate transaction is a positive experience. I was born and raised in Hickory, NC. I began spending my summers at Oak Island, NC at the age of seven - that is when I fell in love with the beach. I attended the University of North Carolina Wilmington, and graduated in 1993 with a major in Communications. After graduation I moved back to Hickory with my fiancée and we found ourselves in the car every weekend headed for the coast! The chance to move back to Wilmington presented itself in 2002. Since my move back to the coast, I have been the Sales Manager for a local marine dealership. I have managed to find plenty of time to fish and visit the beach with my family. Being a boat captain is a hobby I enjoy on the side, when I find time! As much as I enjoy being around boats, I could not resist the opportunity to join Intracoastal Realty. Advising my clients in their real estate endeavors is a passion of mine. My wife and two boys love the area as much as I do, and I look forward to being here for the rest of my days. I moved here many years ago from another coastal town, Annapolis, Maryland. We quickly found that the Cape Fear region is a great place to live and work and Wilmington is truly a very special place! Being a decorator and certified staging specialist for the past 17 years, I understand what it takes to set your property apart from the competition, and to make it a “standout” property that has buyers wanting to call it "home". That’s why when listing your home, I offer a personalized staging consultation to help make your home competitive with other similar properties on the market. I am the agent who stages! With over 22 years of sales experience, my expertise includes staging, marketing and negotiation and I utilize the best resources with the latest technology. 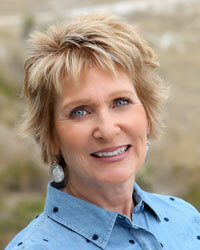 My commitment is to work closely with you throughout your real estate home buying or selling experience. That’s why every one of my clients receives a customized plan for their specific needs. It’s this array of skills, experience, and service that sets me apart, and I welcome the opportunity to help you with your real estate needs. Raised in Wilmington, Casey Barth is a native of the community, giving him a firm knowledge and understanding of the Wilmington market. As a graduate of the University of North Carolina at Chapel Hill, he was a four-year starter on the football team as the place kicker where he was a two-year special teams captain and holds six school records. He received two undergraduate degrees in Management and Society, as well as Communications. Continuing his professional football career, he went on to sign as an undrafted free agent for the Atlanta Falcons in the Summer of 2013 and then with the Arizona Rattlers of the Arena Football league in the Spring of 2014. In his previous role working for an international furniture distribution company, Casey served as the director of business development where he provided clients with sales presentations and innovative insights on new product development. Having constant interaction dealing with logistics in China, Casey gained the experience of what it takes to negotiate and close transactions at any length! 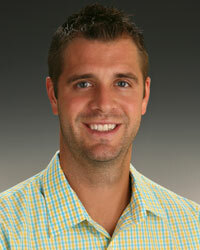 Casey enjoys everything outdoors whether it is paddle boarding, running the loop, or throwing the football. Anytime there’s an opportunity to get involved in sports in the area, you will undoubtedly find Casey there. Never losing his passion for the Wilmington area, he is a member of The Rising Tide Team where he can truly express his passion for some of the best real estate in the country! Contact Casey today for innovative solutions for your coastal home buying, rental property, and property investment needs.